Late last year, an interesting book came into the repair area. 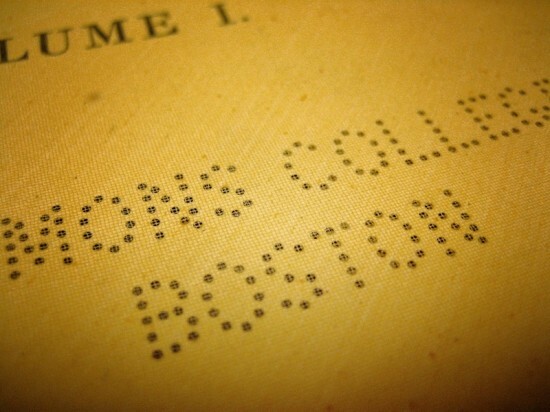 It needed a basic paper repair—the first few leaves of the text block had fallen out. At first, I thought that those pages were printed on a different paper, since they had yellowed (and cracked) much more severely than the others. However, I then noticed that the pages appeared to be woven—a shocking discovery, but I had other things to tend to, so I tried not to dwell on it. 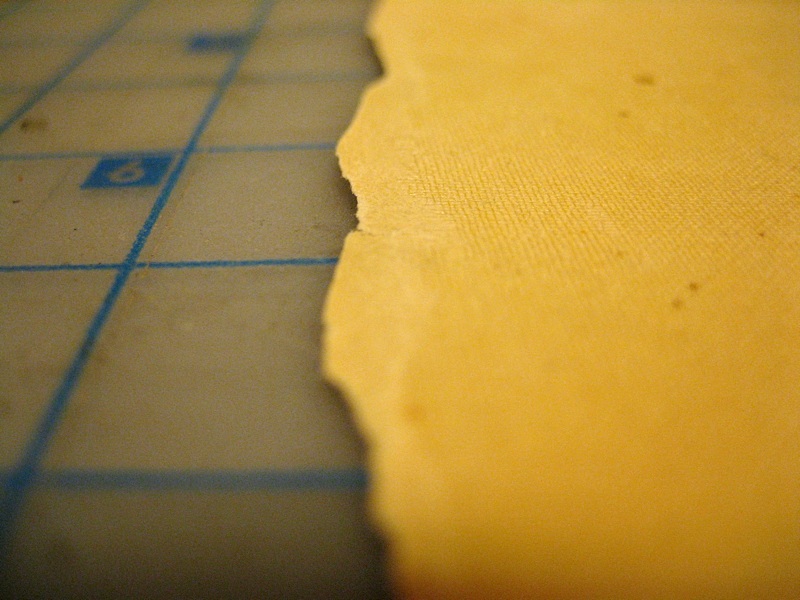 At the edge of the paper, it’s clear that the “woven” portion is a separate layer from the rest of the paper. “How interesting,” I thought. But what really stumped me was what I noticed next. The woven texture overlays the identification/security punch, which suggests that it’s something that was added after the fact. The woven portion isn’t punched, although the paper itself is. Therefore, this layer, which caused serious damage to the paper over time (again, the rest of the pages were in great shape), must have been added not only after publication, but after it was acquired by the library (and, I suspect, added by the library). It was clearly intended to serve some purpose, although I have no idea what that would be. Fascinating! What you are seeing is a page that was repaired by a process called “silking.” It is described in Etherington, “Bookbinding and the Conservation of Books A Dictionary of Descriptive Terminology” at (http://cool.conservation-us.org/don/dt/dt3121.html). There’s also an interesting treatment report about the Jamestown Records of the Virginia Company of London, part of the Thomas Jefferson Papers at the Library of Congress at (http://memory.loc.gov/ammem/collections/jefferson_papers/mtjessay2.html). You can also read more about it in Barrow, chapter 8 at (http://cool.conservation-us.org/byauth/roggia/barrow/chap08.html). Just search within that page on “silking.” Along the way you’ll learn about another challenging conservation treatment we now sometimes need to retreat. Blog post appears under picture, not root page… Silly, really. Once again, I am reminded to be more mindful about how I treat books. Aside from the basic function of the book, to inform or maybe entertain, one never knows what the ultimate value of the book may be.